In our workshop, you will learn about radiation in the home, how to do home assessments and what solutions are appropriate for healthier living. Expand your modalities as a doctor or therapist, start up your own business in making homes healthier or understand how to do this in your own home. Anyone can attend. 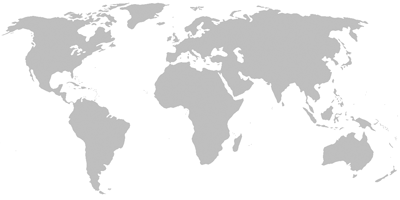 There are no prerequisites and Geovital is looking to expand its network of representatives world-wide. If home health interests you as a career (depending on your available time, work commitments etc. ), there is likely to be a way we can work with you. Helping more people We have expanded our ability to help more people by training other interested persons (doctors, therapists, architects, builders, building biologists and also the lay person with no links to health or construction) in how to conduct our style of home assessment and then apply our verifiable ‘healthy living’ solutions. Geovital training enables our consultants to recommend to others the best way to rectify a home situation or assist in building a healthier home. Assessor workshop Anyone can learn how to carry out Geovital’s style of home assessment in our workshops. By the end of the workshop, you will have the skills (more practice in friends and families homes will quickly get your more experience) to make these services available in your area. Geovital Academy can support you with supplying products to your clients and upskilling your technical knowledge. Depending on the type of business relationship between us, and whether you feel you need it, Geovital can give you business training and support. If there is no local Geovital distributor/service centre in your country, perhaps this is an opportunity that would interest you… There is a growing need for Geobiology assessors world-wide and this profession offers ample and worthwhile opportunities. With the backing of Geovital solid reputation, highest quality products, training and support to benefit you, you could operate your own stand-alone business. Geobiology also integrates nicely with the work of integrated doctors and natural health practitioners who can provide this service to existing patients, or use it to attract new ones. Similarly, those in the building industry (architects, builders, electricians, etc.) 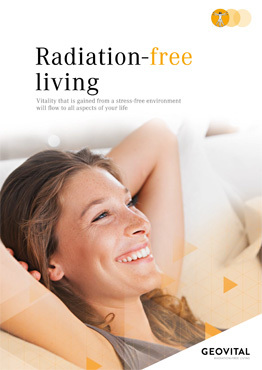 can create a point of difference to potential clients by offering ‘healthier or radiation-free homes’. Building Biologists Also those certified or working to become certified as Building Biologists find much benefit from doing our training. The subject of Geopathic Stress is highly beneficial but the most frequent feedback we receive from those in Building Biology is that the way we assess the BODY for radiation (particularly RF) makes so much sense. Many doctors and authorities in natural therapies seem to refer back to geopathic stress and the detrimental effects it can have (See some of the videos on Geopathic Stresses in our video collection). It’s hard to find information about this and if you do, you will lack the confidence to apply it with some level of authority, especially when it comes to assessing your own or other people’s homes. Understanding, locating and measuring geopathic stress is a hands-on skill which is easy enough to learn, practise and can be mastered by most, however it still must be demonstrated and taught to you. As these are natural occurrences, we strongly believe that the best place to teach you, is in nature. That is where our field trips come in. The solutions that Geovital developed for geopathic stress have been in use for over 35 years and their functioning can be verified. Clients are even invited to verify product effectiveness for themselves using a simple skill you can teach them during one of your assessments. In the workshop In the course, you will learn what is required to understand, test for and measure electronic pollution (EMF) and geopathic stress. You will understand how radiation affects us all and you will be taught how to measure for it in a simple down-to-earth manner which you can also use when explaining radiation to your clients/patients. You will be able to tell them about simple ways to avoid or minimise exposure. Additionally, you will be well-educated about professional shielding or elimination products that are all verifiable, make sense, have a great track record and can help your client’s or your own situation. Elimination of radiation exposure is Geovital’s highest priority; however, with so many sources of radiation being out of our client’s control, shielding is often required. All are welcome to attend the workshop (see video), but it resonates especially well with naturopaths and natural and alternative therapists who often already have the attitude to look beyond symptoms and find the under-lying cause. If you are an existing therapist, you will have another very important skill and capability to use when guiding your patients towards better health. PLUS, you will have another ‘not so common modality’ to attract new clients to your practice. Geovital representative: This is for those wanting to commit a reasonable amount of time to generating interest and building a business for home assessments. You become part of Geovital and hence follow our approach in assessment to the letter and recommend the Geovital products only where applicable. This role would typically include a profile on our website provided some experience and knowledge base is met. As use of our brand is involved a representative agreement has to come in affect. Geovital affiliate: Suits the professional (doctor, therapists, architect or builder) who likes to follow our process and solutions, and be linked to Geovital for support, but has a full-time business already. These people are not able to dedicate much time to generate assessments. However, they wish to do home assessments when a client requests this, or when the need appears in the course of running their business. As use of our brand is involved a representative agreement has to come in affect. ‘Freelancer’: This person has their own business doing radiation assessments and wishes to follow their own or other methods and philosophies. They like some or all of our solutions and would like to incorporate these into what they do already which can also include competing products; We are delighted to work with ‘freelancers’ and can provide product support but as our approach is not followed we are not able to share leads for assessments with them. A simple agreement regarding the sale of products and its limitations needs to be signed. I’m a Building Biologist. Where can I fit in and benefit from working with Geovital? There are many certified Building Biologists in the ranks of Geovital and quite a few of our faculty members are also Building Biologists. It is perfectly fine to be both a Building Biologist and Geovital Geobiologist at the same time. You may need to add some of our instrumentation for electronic pollution to your tool bag, but you would likely also want to do so after the workshop. We certainly recognise your skill set and combined with ours your clients would benefit even more. Beyond support, Geovital also looks after those who help our business. Our products are therefor mostly marketed only through those who do the home assessments. We have no interest in selling products to online only shops who will undercut you when you have done all the hard work investigating and highlighting IF there was a need for shielding. If you’ve been selling other shielding products already, you know exactly what we mean. Even manufacturers undercut the very people that create the demand for their products. The Geovital family feel sees us work together and look after each other. Even without having to be labeled a Geovital Consultant, Building Biologists have a special place with Geovital. Let your clients benefit from our solutions. Why being an official GEOVITAL consultant makes most sense With you committing to using our approach as a minimum for services and using the solutions that have worked so well for our health clients in the past, you can gain a greater level of recognition being part of the GEOVITAL brand. Our own consultants are close to family to us and we look after each other. We have a vested interest in seeing you succeed and see your business make money for doing an amazing job for people. Our website infrastructure is an enormous investment on our side to keep GEOVITAL in the eye of people investigating EMF assessment services and products. This investment is aimed to get our consultants appointments. It is by no means enough to grow your business on and you WILL need to treat this as any other business and go out and generate your own leads and clients, but our brand will give you respect and a support network that wants to see you succeed and network of fellow Geovital consultants also keen to get you appointments. Wherever you and us feel comfortable, we look forward to working with you and impressing you with an ongoing business relationship. Talk to us about your intentions or desires before, during or after the workshop. 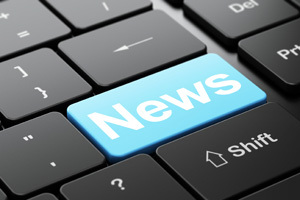 WARNING REGARDING ONLINE SELLING: We feel strongly that those doing home assessments should facilitate the purchases of products for their own assessment clients and monitor the correct application of this. We therefor are not interested in seeing various online shops offering our products as this would inevitably interfere with the business success of those on the ground actually investigating and supporting the shielding projects of their clients. 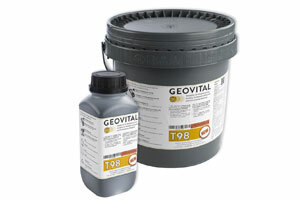 If your desire is to simply add Geovital products to your online shop, then you should not do our workshop. Product access is typically given for own home assessment clients sales only. We believe in equal opportunity for everyone but must reserve the right to not deal with people who don’t fit in out business culture. Doing the workshop does not automatically guarantee professional access to products at a discounted rate. Business Start-up Course with Austrian practical. Why not learn all the theory before you join us in Austria and we’ll need less time there and can focus on doing more practical. This is the idea behind Patrick’s signature course. Cost is approximately U$2800 (see individual event listings in the calendar) but includes a host of value making it the best value for many course without a doubt. Spots are strictly limited due to the ability to visit actual homes only with small numbers of students. Register and pay as soon as you can to secure your spot. English spoken classic workshop courses are held in Austria once or twice a year. Typically the English spoken course was held before or after our annual ‘Summerfest’ celebration in July where Geovital Geobiologists from many countries come together. Due to demand, we may start hosting this course more than once per year from 2019 onwards. 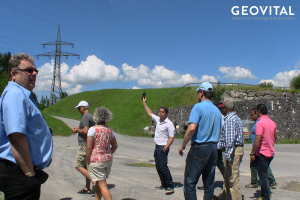 To do the Geovital classic training in Sulzberg itself of course brings many major advantages as you can see the facilities and train on our world famous practice site. The opportunity to also join us at the Summerfest, in case of a course that is held near this event, where you can chat to many consultants with decades worth of experience, is a great and valuable experience. Geovital Australia runs small workshops (normally six new students), which do tend to fill up quickly. First in, best dressed and full is full. If you can’t commit to registering now, then please do contact us and at least register your interest. This way you’ll receive up-to-date information concerning the workshop that interests you. Cost of workshop The workshop is an investment of AU$1498 including GST. To register, find the registration form and paypal link on the event in our calendar. If you have a business in health or construction, consider treating this as a business expense. Live workshop options or Online – Geovital was offering regular training in the USA but due to operational cost it seems difficult to continue these. We’ll hope you’ll visit us in Australia or Austria as many from the USA have done already. as part of the classic workshop, or better yet the business start-up course. Failing this, the online course can be an exceptionally good experience, which you could later expand on once you’ve started using the knowledge an know its ‘really you’. We’d be delighted to assist you in a business assisting families with EMF assessment and mitigation in the role of ‘Freelancer’ or “EMF-only affiliate’ after online training, but students of the online course will not be able to be considered for the role of official Geovital consultants/representative until they have completed a live-workshop as well. The ability to get started helping people with EMF issues can this way be quicker and at a lesser cost, the start in the industry can be speeded up. Once you see how rewarding this is for you, obtaining more skills through further training can then be more attractive and easier justified. Geovital UK runs small workshops, which do tend to fill up quickly. First in, best dressed and full is full. If you can’t commit to registering now, then please do contact us and at least register your interest. 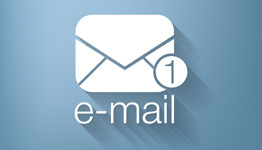 This way you’ll receive up-to-date information concerning the workshop that interests you. Cost of workshop The workshop is an investment of just £595. To register, contact us. If you have a business in health or construction, consider treating this as a business expense. The workshop takes normally 2.5 or 3 days. There are ample field trips to practise your new skills. Most people get the hang of it quickly and by the end of the workshop to practise more on their own. Often, doing assessments for family and friends is a good place to start. Before you know it, you have built up experience and are starting to become very knowledgeable. The Geovital office is always there to help its representative and affiliates. It can for example, assist your clients (while respecting that it is your client) with a ‘new home’ building consultation if you feel out of your depth at that time. No, there are no prerequisites for the workshop. Experience in health care is beneficial but it is not needed at all. It just happens that many integrated service doctors and therapists identify the need for a home assessment with their existing clients and don’t know where to go from there. With Geovital training they are able to offer this service to their existing clients themselves. Geobiology can be run as a stand-alone business. There are enough homes needing to be assessed and sadly, enough people with chronic complaints due to their unhealthy homes. Also many health conscious people (see Gabi’s story) wish to live as healthy as possible. If you are not a doctor or a therapist, you could network with those professionals and help their clients. Do a get a certification at the end? At the end you receive a certificate of completion from GEOVITAL. This is not recognised by any government organisation, but then again neither is the work we do or the issues we’re trying to assist families with. Doing the course gives you knowledge, but you lack skill and experience. This is why after the course you should practice doing home assessments for friends and family to gain this experience. If you choose to join us, we’ll be there to hold your hand and support you. Understandably you need the proper equipment in order to execute an assessment of a home. Our experience has shown that many instruments, especially for HF and LF electric fields, do not assess the situation with the body properly in order to arrive at the answer if protection is called for or not. We take a more medical approach in these things, take readings on the body whenever possible and place little value on the measurement of the air. At GEOVITAL we have become quite picky when it comes to the equipment our own official consultants can use because we need our patients to receive the best possible assessment of their situation. We have come to the stage where we have designed our own instrumentation and if you desire to become an official GEOVITAL representative, you will need to have the GEOVITAL EM Field Probe and the GEOVITAL HF Field Probe to help our patients get to the right decisions about their situation. It usually earns itself back fairly quickly and we have attractive pricing on these items during the workshop for the students because we realise these are your working tools… but you do need to budget for it as a business expense. Ask your local office now about a price indication of the cost of these tools. There are other courses available that take over a year to do. Should I not start with them? There are educational facilities that run wonderful insightful courses on home health, but they do take over a year to complete and represent an enormous investment of both time and money. These courses do bring valuable information, and we would recommend anyone to do these courses in addition to ours (for those interested go to IBE and tell them you came through us), but there are some simple reasons why you might do our course first. Our course focuses on assessment and mitigation in the 3 areas that our experience has shown produced the single greatest impact on our patient’s lives: Electronic pollution, Geopathic Stress and the mattresses that people slept on. The instruments we use and the way we assess is easier to do for you and equally import easier to understand for those people who’s home you are investigating. Our course doesn’t go into building new homes very much at all because most of your (certainly initial) clients will be people that already have an existing home and need help there. When homes are needing to be built, our senior consultants and building biologists will assist you whilst you learn from the process. That is why our course can be shorter. Of course there will be the need to gain experiences and hand holding will be required to give you guidance and increased knowledge. But because we are partners with our consultants, for the sake of your, our and most importantly our patient’s future, we have a vested interest in growing your successes in business and the amount of people you actually help. Our workshops give you an opportunity to get involved into this industry quicker, so you can see if you like it before investing months or years in education without having that opportunity or without building on an income stream at the some time. Why not start with us? Get you feet in the water, get out there and help some families. Experience yourself if you too find this work rewarding. Once you have things rolling, you can always do more courses (we encourage it and our friends at IBE would welcome you with open arms) and their courses should then be a tax write off by then, right? (ask your accountant) There are distinct differences between the way Geovital and most other organisations and businesses investigate radiation. This is covered in another FAQ. Our approach and experience has come from dealing with patients and the need to have assessment methods as well as products that give us best chance of consistent and durable positive outcomes with those patients. In our experience, investigating the arrival of electronic pollution in the body instead of the air (not just for electric fields but also radio frequency radiation) has been a big distinction for us. Other courses in EMF (small and big) tend to underestimate, in our opinion, the need for shielding to be put in place because they measure the air and not the body. Beyond this, the results of shielding projects they may have undertaken may not have brought health improvements for some clients, which may be because of the lower quality of shielding products people tend to work with or recommend. This lack of wonderful outcomes has then reduced the enthusiasm for applying and recommending shielding to other clients. We sometimes hear others state ‘only shield when absolutely necessary’ where we would quicker say ‘shielding benefits everyone’ because with our solutions, made from ingredients we carefully selected and with its performance, we rarely see anyone who hasn’t been excited about their decision to shield. We use the term patient as we are originally a health clinic in Austria. For those areas where the word patient is restricted to use by medical doctors, please read ‘patient’ as ‘health client’. I’ve done other training on radiation/home health, invested so much time and money, but can’t get a business going with it. How would your course be different? You will learn certain distinctions we’ve made and our approach and the solutions we use that made a big difference for us over last 35 year. Depending on how excited you are about our work and how we ‘click’ you could work with us, in which case you would be supported in terms of how to run your business and you’ll quickly be in a position to benefit from our national and international advertising campaigns which you would be unlikely to do on your own. With the GEOVITAL brand name, you also bring something recognisable and well respected to your appointments with clients. We’ve had many people like you in our courses who may have done a course but were then left to their own devices. We have an interest in seeing our consultants succeed and will assist you, within reason, as much as we can. Naturally, starting a business is hard work, and if you expect appointments to come flooding in whilst you sit still at home waiting for them, then you would fail in any business. As a small operator on your own, you don’t stand much chance to use the internet to promote your business. Only large companies with dedicated IT staff stand a chance. Dietmar Hohn explains recent developments. It also makes us aware why Geovital Consultants benefit from being part of a larger whole.